This gorgeous property is ready to move-in. Main level with kitchen, dining & living room with a great fireplace, master bedroom and secondary bedroom, 2 full baths. Lower level is a walk-out with a bedroom and 3/4 bath. Property includes a loafing shed with hay barn. Currently the property houses 2 alpacas, 2 horses, ducks and chickens. Zoned for up to four horses, cows, pigs, chickens so you can have more animals than are currently there. 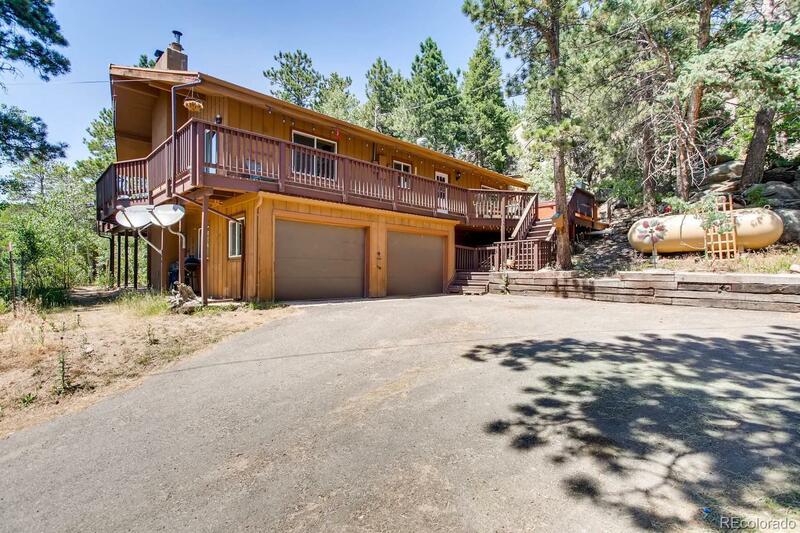 Very easy access to 285 and Conifer shopping only 5-10 minutes away as well as great rated schools.